Editor’s note: This guest post was written by Alex Ahlund (@alexahlund), the former CEO of AppVee and AndroidApps, which were acquired by mobile app directory Appolicious. He is currently an advisor to Appolicious. In his previous guest posts, he gave us his picks for top iPhone apps. With the ubiquitous media coverage surrounding the iOS (iPhone, iPad, iPod Touch) app market, it’s important to remember that Android also is making huge headway. 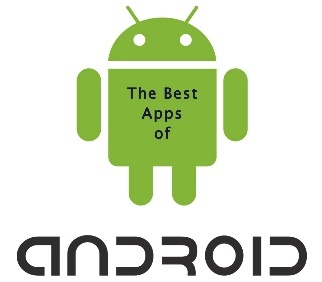 More than 100,000 apps are now available in the Android Market. Within the last six months, Android devices have reigned supreme, comprising 32 percent of all new smartphone purchases. There is finally a larger selection of models being manufactured and more carriers offering them. When the first Android device launched, I predicted that the OS would surpass iPhone in the coming years. While this looks to be true, those of us involved in the app industry are concerned with something more specific: Who will have the most active app marketplace? Currently, iOS is still the definitive winner. There is not enough app interest on the Android consumer front to warrant a mass exodus just yet. I have a pretty simple metric for determining the potential of an app market: Is PopCap involved? If the answer is no, then the market is still too green. While PopCap has yet to enter the Android space, they have noted plans to port some of their game titles in the coming months. This supports the notion that Android has big potential, but it’s still too early. In addition to the paid offerings available on Android, the platform offers great free game classics like UnblockMe, Bubble Blast II, and Backgammon. So those are my picks. What have you been using that has become a staple on your device?